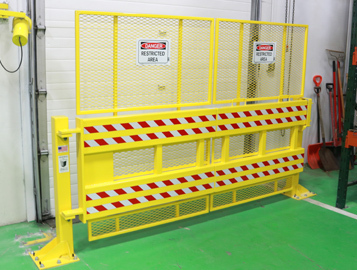 Cargo lifting, securement, containment, or barriers: we fabricate the custom solution your application requires. 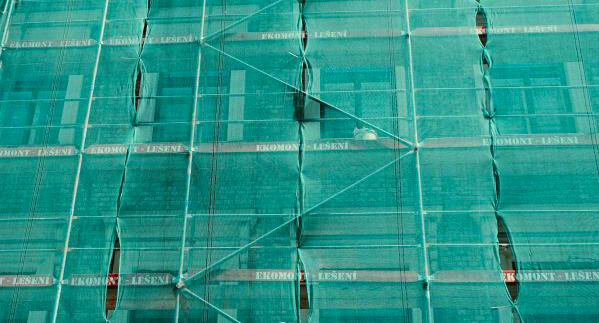 US Netting specializes in debris and fall safety netting solutions that meet the highest standards of quality as well as all industry regulations. Durable and versatile materials available cut to order, bulk by the roll, or in custom panel sizes. The largest selection available online! 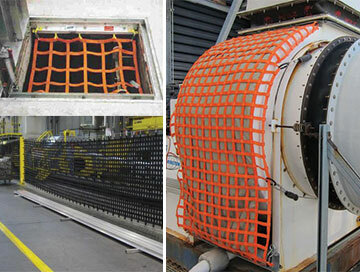 Safety Barriers are made with various types of mesh netting, webbing or steel. Each with their own cord diameters, mesh sizes, and strengths. We provide the safety & quality your employees deserve. Custom safety products for construction, warehouses, factories, & more. 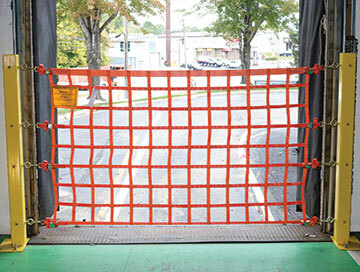 Stop motorized carts, forklifts, and people from slips and falls with Loading Dock Safety Nets. 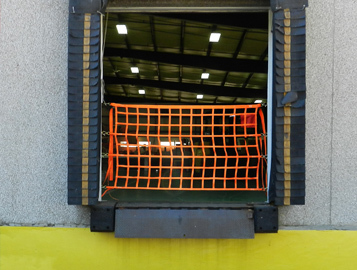 US Netting has been passionate about creating a suite of loading dock solutions in order to take loading dock safety to new heights. Nets for any level of sport: backyard, intramural, or professional. 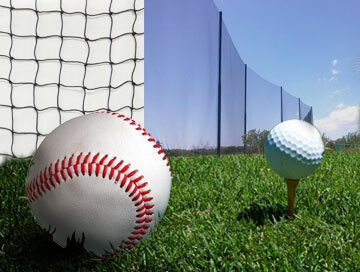 We offer quality sports practice nets or cages, sports barrier nets, & arena safety. At US Netting we focus on three things Quality, Safety, and Solutions.Since 1983 we've been dedicated to building the best custom netting and continue our tradition of quality today with selling our netting online. Our products help our clients offer increased safety and utility to their employees, facilities, and customers. Each custom net is tailored to the requirements of the job, providing the exact solution the project requires, something stock size products from big box stores cannot supply. In addition, we also are an FAA Certified Repair Station #9NTR146D. See our aviation page for more information. 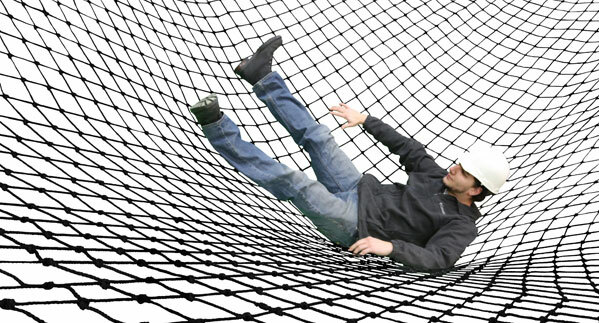 Our team possesses a staunch devotion to fabricating the best safety netting available. We serve all types of customers, including private companies, consumers, television shows, production studios, and government agencies (US Army, Air Force, Marines, Coast Guard, National Guard, NASA). From Men in Black to NASA, our satisfied customer list is constantly growing. 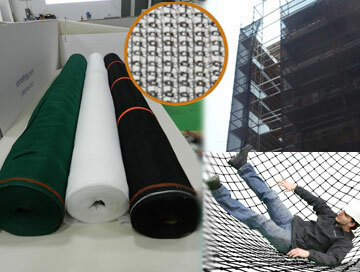 We are considered by many as the premier supplier and fabricator of custom safety netting. Additionally, our selection of stock and bulk net materials is unmatched in variety and quality. Shop our vast selection of netting online day or night, or call us to have one of our engineers help produce the custom solution right for the job. 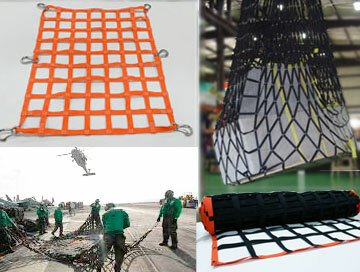 Whether you are looking for a cargo net to lift 15 pounds or 100+ tons, a Kevlar™ reinforced military cargo net to protect personnel from possible shrapnel, or just a sports netting solution for the backyard, we deliver the highest quality products. 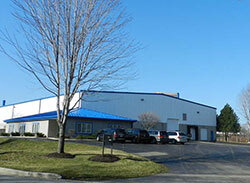 Our 25,000 square foot facility is located in Erie, Pennsylvania. 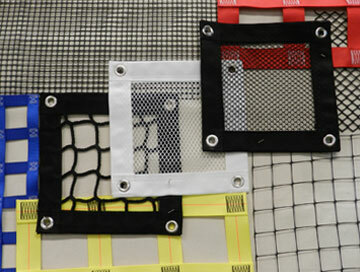 We look forward to working with you to design the quality custom solution netting or barrier your project deserves.